Senator John McCain should choose his vice presidential running mate with care.It has now becomes necessary to combat the Obama charisma by choosing a running mate that could match the buzz that the Democrats have maintained this year.Senator McCain should go deep and pick a candidate that will make people think that the Republicans say “ wow”. In all likelihood that would mean the Senator will go back to his maverick ways. The Senator who has heretofore in the past has condemned the religious right, stood up for immigrants , and tweaked the Republican party will again throw caution to the wind.The campaign needs a Hail Mary and in football terms “go deep” by picking a minority or a woman.Picking either could possibly bring the McCain a boost of 4 to 5 points that could move the election to his camp . For that end three candidates come to mind.The first prospective candidate would be Governor Bobby Jindal of Louisiana Governor Jindal has youth as he is 37 years old making him younger than Obama.Jindal is touted as the future of conservatism ,and has a authentic American story as he like Obama has a father who moved to America to pursue the American dream . 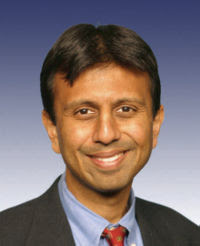 Jindal has conservative credentials as he is pro life , and has voted more Republican than Senator McCain . Obama has not been able to seal the deal with women voters over the age of forty . Specifically white women voters who still want Hillary Clinton to sit in the White House . Most Democratic women will wait for the cue from Senator Clinton in the Democratic key note address as how far to throw their support . Choosing a woman will close the deal and steal votes from Obama. To that end ,two candidates stands head and shoulders above the rest in the Republican party.Senator Kay Bailey Hutchinson of Texas , and Governor Sarah Palin of Alaska.Governor Palin is young at 44 , she matches the Obama youth factor and has the conservative credentials of being pro life and anti gay marriage . 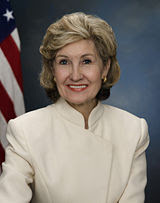 The country may be suffering from Texas fatigue that’s the major handicap that Senator Kay Bailey Hutchinson has . Senator Bailey is a long time Republican power in Texas . She served as former state treasurer , and has made a mark in the United States Senate . Senator Hutchinson is the dean of female senators as she is the longest serving Senator.Senator Hutchinson’s moderate stances on abortion rights would make her a favorite with women who are not in the Obama camp. At the end of the day Senator McCain has to throw caution to the ways side and go deep.Going deep will mean the Republican party will have to finally show how big the tent is.Senator McCain will have to go deep to pull this election out and be a real maverick. That would not be a good move for McCain. I'd hate to break it to you guy, but Kay Bailey isn't exactly the conservative everyone seems to think she is. I still like her, but she would not have been a help to McCain. Real Energy Policy Must Be Created NOW !